Settlement agreements can be a useful tool to reduce risk and manage an employee’s exit from your business as smoothly as possible. They may be used in business reorganisations, redundancy situations or when the employment relationship is untenable for other reasons. They can also be used to settle any claim raised against you. If you plan to offer a severance package to an employee, please contact us first so that we can advise you on how to approach that initial conversation so as to minimise any risk of claims against you. We can draft any necessary letters as well as a meeting script or aide memoire for you to ensure that you satisfy the requirements of a ‘protected conversation’ so that the conversation remains behind closed doors. We can then advise you on proposed settlement terms, draft the settlement agreement, and negotiate matters with your employee’s legal representative through to conclusion. We normally expect to charge around £450 + VAT to draft a settlement agreement, but this is just an indication– we will be happy to give you a bespoke quote after discussing matters with you so that we fully understand the scope of the work required and you have certainty on the costs involved. Ergo Law, Edinburgh based employment law specialists. We specialise in advising both on the issues which arise in the workplace on a daily basis as well as on more unusual or complex situations. Member of Edinburgh Birth and Baby; a collective of professionals specialising in support for parents and children in pregnancy, maternity and beyond. 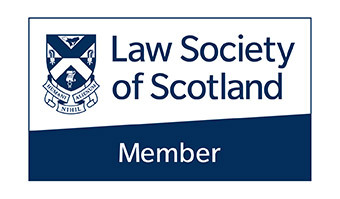 Ergo Law Limited is a company incorporated in Scotland with company number SC517035, authorised and regulated by the Law Society of Scotland.